My intention this afternoon was to take 20 minutes to replace the ancient 1970’s era speaker under Peer Pressure’s dash with a new one. A few weeks ago I some cursory research on the interwebs and someone claimed the stock speaker was 4×10″, so I ordered an inexpensive replacement online. Today I pulled the old one out, and it turns out I was wrong (a quick trip into the garage to look over the two spare dashboards I have would have confirmed this): it’s 4×8″, a very unconventional size for a speaker. RetroSound has replacements for $100+, which is more than I care to spend, or there are some cheaper alternatives which are intriguing (and, strangely, listed as OEM replacements for Case/IH equipment). For now, I’ll return the new one this week and come up with another plan. 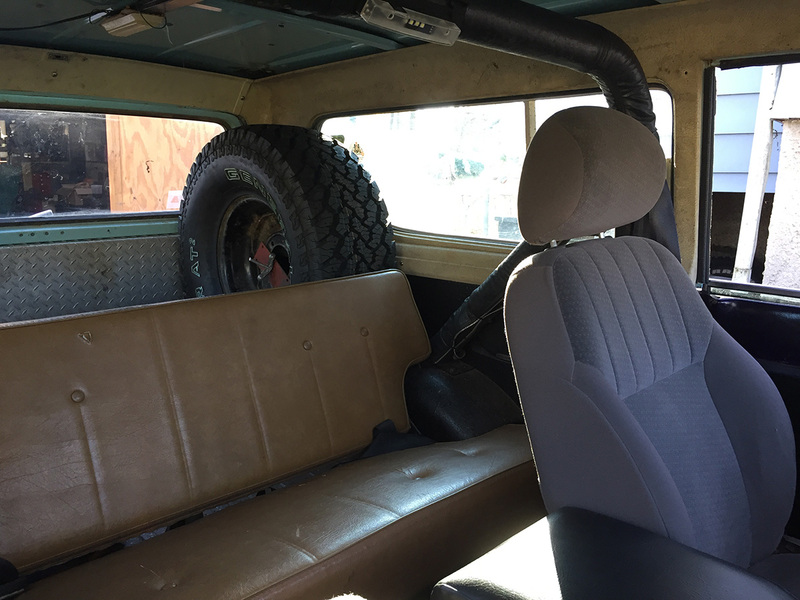 And, just to prove I am not a complete philistine, I pulled the fiberglas inserts down out of the garage attic and stuffed them into the Scout this afternoon.